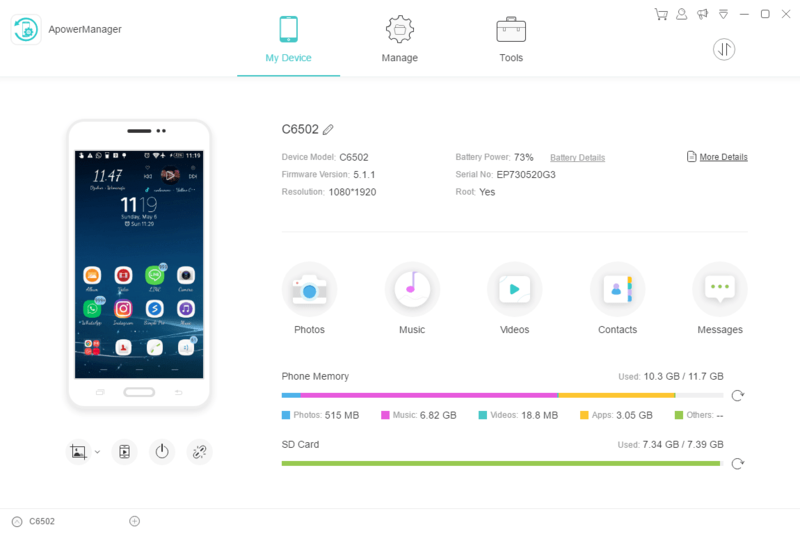 Apowersoft phone manager is a pro comprehensive and efficient piece of software developed to help you organize the files, messages, contacts and other data you store on your mobile phone. it lets you view notes, sent and received messages, installed apps and contacts, also allowing you to add new entries or export the records to an XLS, XML or VCF format file. Essentially ApowerManager allows you to import, export, move or delete the media files kept on your mobile phone, all from your computer. Users will also be able to preview pictures, listen to music and watch videos on the large monitor. It enables you to back up all the important phone data on your Windows or Mac computer, including contacts, messages, photos, videos, etc. 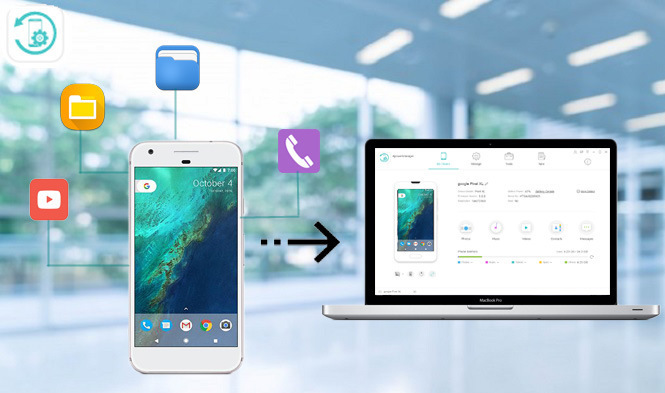 This iOS and Android device manager also allows you to restore the backup files to your phone with one click. And you can directly preview and manage the backup files. Overall, this freshly updated program provides a more user-friendly approach to managing your device. Getting the most out of Apowersoft’s handy app has never been so straightforward. Users can efficiently transfer or preview a variety of files between mobile and PC without any hassle. Shows your apps, documents and files with organized categories. It gives you full access to notes and app files for iOS and SD card for Android. You can add certain folders under the Files tab to favorites for quick location.